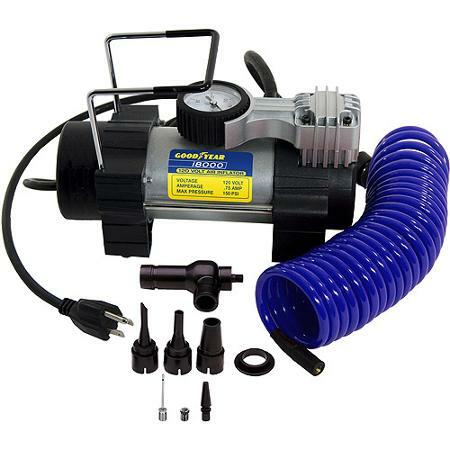 The Bon-Aire Goodyear Heavy Duty i8000 120 Volt Direct Drive Inflator is an essential tool for anyone who owns a car. Ideal for home, shop and garage needs, it inflates just about anything. 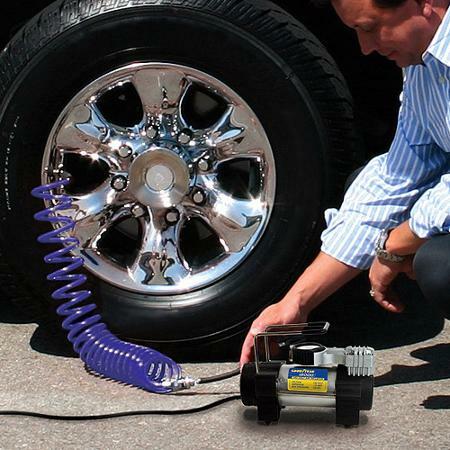 This electric tire inflator can inflate a 14" vehicle tire in less than 150 seconds, making it extremely efficient. 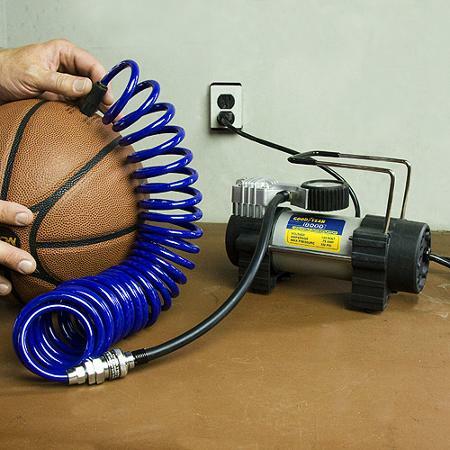 You can also use it for bike tires, sports balls and mattresses with the included adapters. It plugs into any standard 120V wall outlet for added convenience. It features a built-in analog gauge that measures up to 150 psi and gives you accurate pressure readings so you always know where the inflation level is. 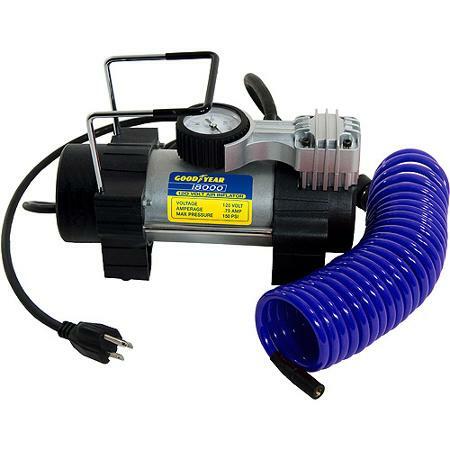 This Goodyear tire inflator includes a PVC air hose for flexibility and durability. It also has a rubber-protected quick-connect valve that makes attaching it to your tires easy and safe. 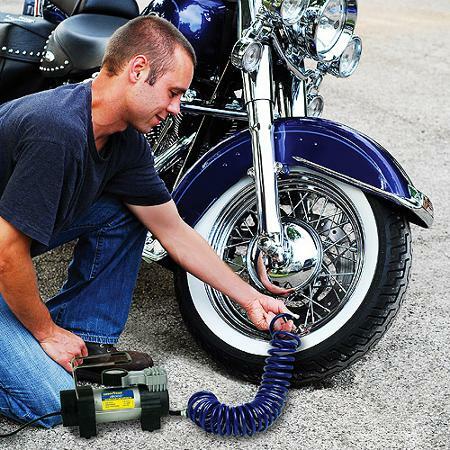 The 6' power cord is designed so that you can reach all vehicle tires easily and safely without any hassles.